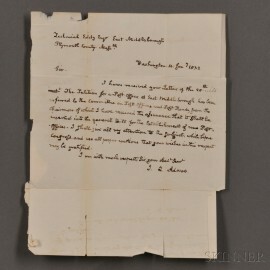 Single page, inscribed on one side. 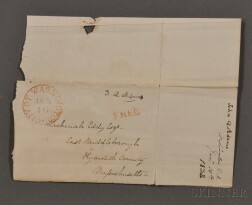 To Zachariah Eddy of East Middleborough, Massachusetts, acknowledging the receipt of his petition for a post office in his town, and assuring that the request will be inserted into the bill for the establishment of new post offices, and that Adams will attend to the subject when it is presented before Congress. 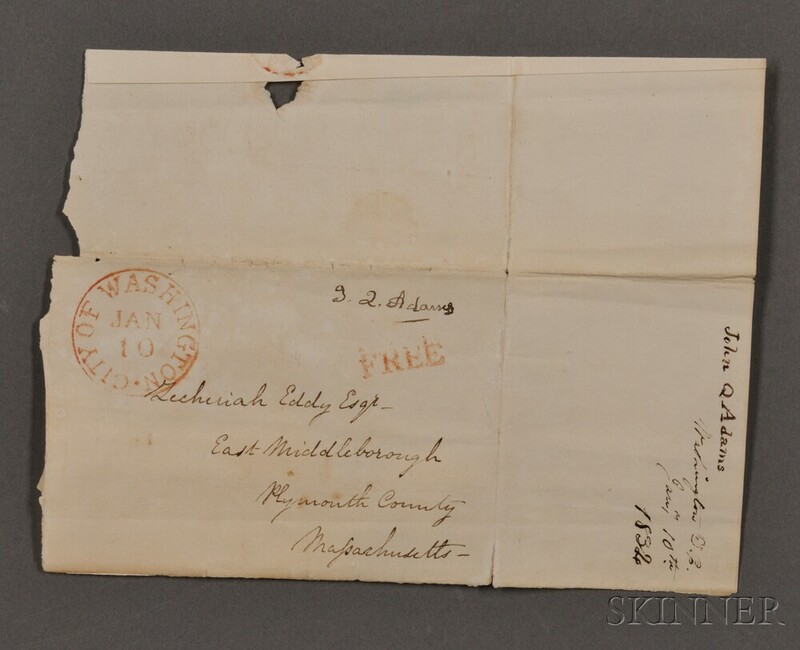 With old folds and some tears, offsetting, including the original envelope with Adams's free frank and the Washington, D.C., post mark, some folds tender and separating, 10 x 8 in. 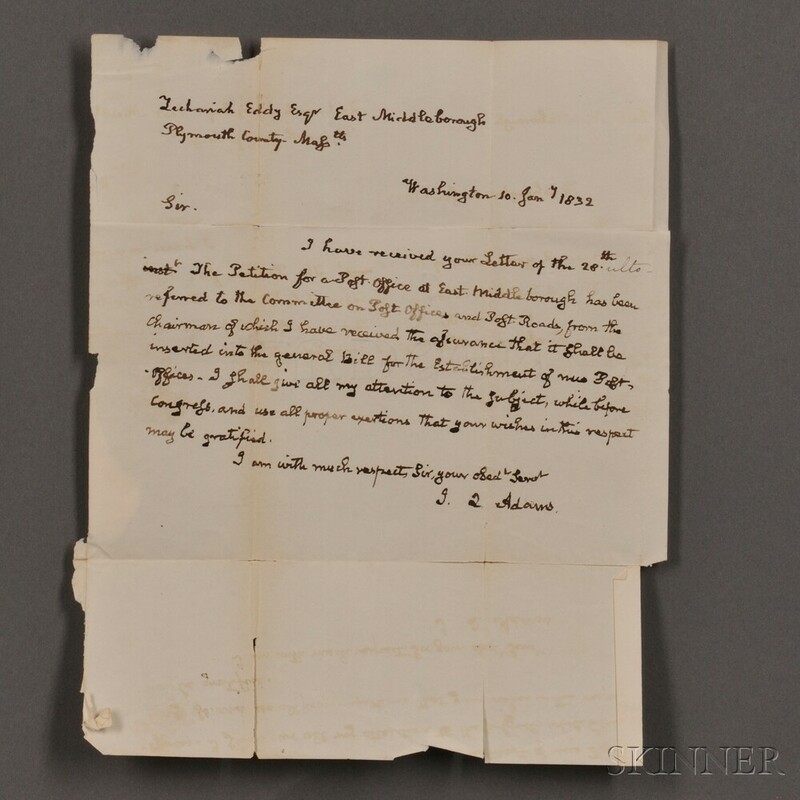 Zachariah Eddy, Massachusetts, East Middleborough, Congress, Washington, D.C.